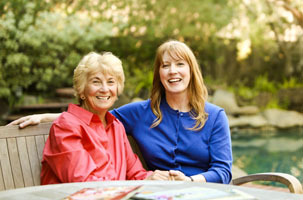 The success of a senior’s recovery following a stroke is often dependent upon the care offered. Proper care makes it easier for seniors to return to a familiar environment faster, maintain a positive outlook, and restore their ability to realize their highest level of independence quickly and safely. If your senior loved one recently had a stroke and you’re unsure where to turn to find the support he or she needs for an effective recovery, Home Care Assistance is here to help. Our reliable post-stroke home care provides individualized attention that addresses a senior’s recovery needs with professionalism, dignity, and respect. The transition home following a stroke is sometimes stressful, and flexibility is essential. The reliable caregivers with Home Care Assistance can help seniors feel comfortable returning home and maintaining their normal routines. 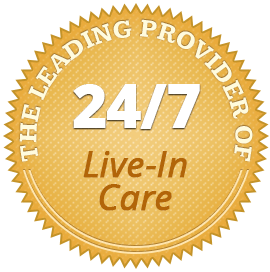 Services can be scheduled on a part-time or full-time basis, and live-in and 24-hour care are also available. Should a senior’s needs change, we can easily accommodate schedule adjustments or emergency situations immediately, and we never charge a penalty for increasing, decreasing, or discontinuing services. Home Care Assistance can help by providing the individualized, professional care your loved one needs and deserves while recovering from a stroke. Learn more about our innovative home care by calling (519) 954-2111 and requesting your free, no-obligation consultation.